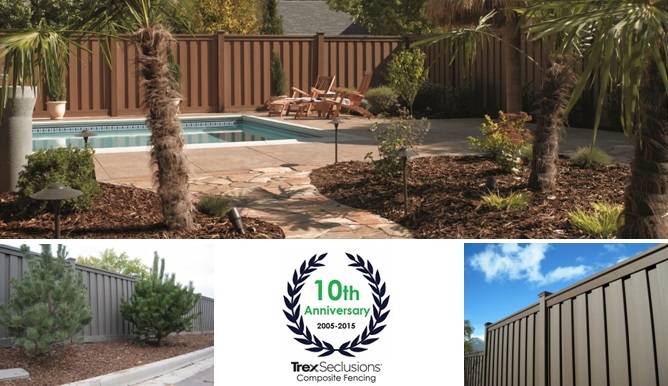 Since Trex introduced the Seclusions fencing line in 2005, it has led the category in the use of composite materials. 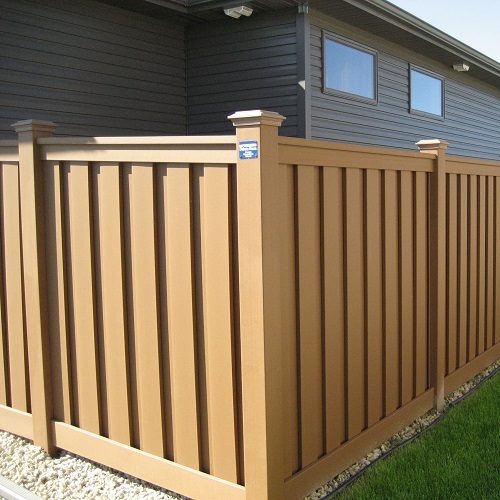 Homeowners and commercial property owners use Trex to replace older wood or vinyl fences. Homeowner associations have found it to be a solid solution to reduce long term costs. 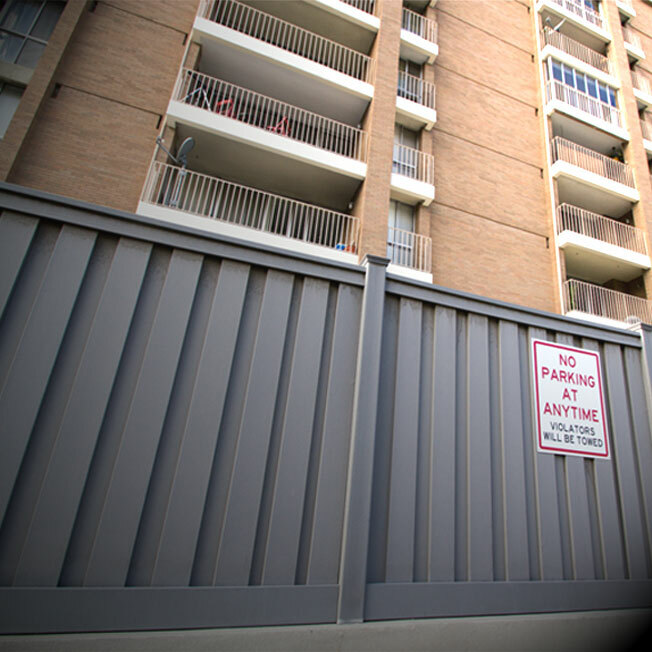 Government agencies specify it for secure barriers that cost less than masonry. Developers also are attracted to Trex fencing for its various benefits. If you are a developer in a design phase and are looking for a fence to compliment the themes of your project, Trex is likely to provide specific attributes to meet your needs. The following considerations will be helpful in evaluating Trex for your development. Trex has developed a portfolio of products that extend beyond functionality. 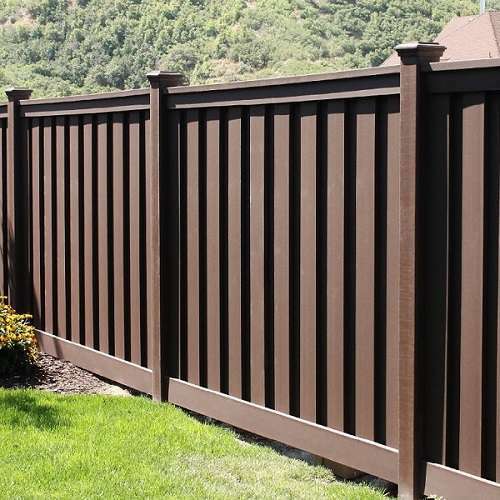 There are plenty of low-maintenance fences on the market, like vinyl or stockade-style composites, but Trex’s approach to fencing is different. As outdoor living themes continues to mature, consumers are embracing the idea that any property element can have aesthetic value. 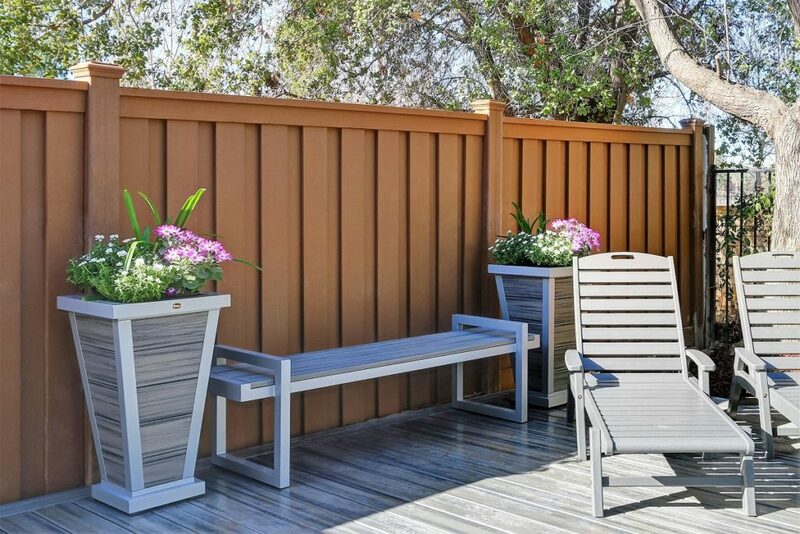 For example, whereas decks used to be seen as just functional spaces for outdoor activities, Trex has helped shaped the idea that those spaces can enhance the appearance and utility of backyards by adding a variety of color options for decking boards, decorative railing, pergolas, outdoor furniture, lighting, etc. Stretching to the perimeter, the principle also holds true. 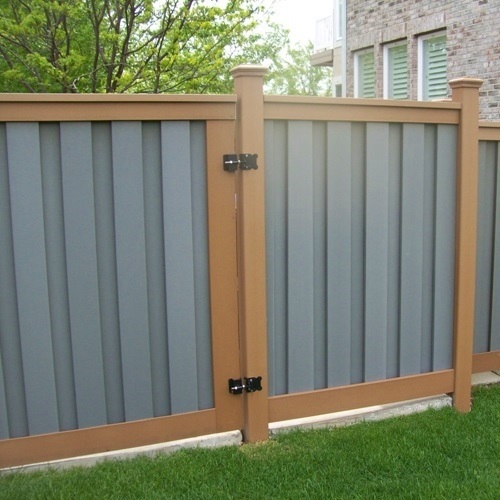 The Trex fencing design rejects the notion that a fence is just a privacy or security barrier. Most homeowners invest time and money in their landscaping. 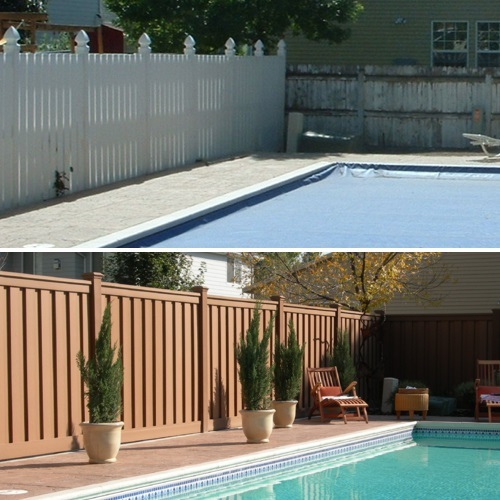 Because a fence is a highly visible backdrop, the appearance of a property can be significantly enhanced or degraded by it. This concept is similar to the idea that a person that purchases a luxury sedan isn’t going to settle for a drab shape and nondescript trim. They will also expect the vehicle to have tasteful accents and surfacing. The same holds true for Trex. Rather than looking like a simulated structure made from plastic, it has the appearance of a painted wood fence that has been well-maintained. Trex is one of only a few fences made from recycled materials and it is the one with the highest content (95%) of reclaimed woods and plastics. The company has won several awards for its innovative use of by-products and for its sustainable manufacturing processes. 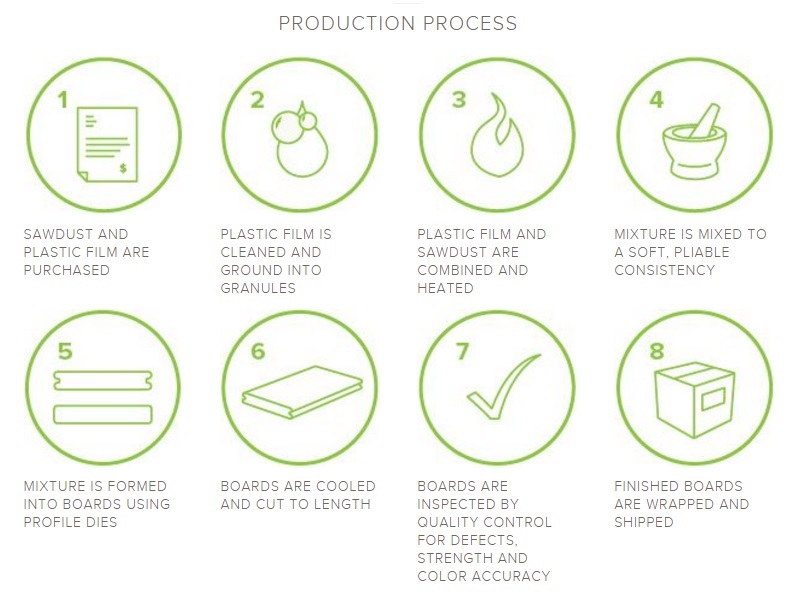 Trex is a member of the U.S. Green Building Council, and contributes five LEED points for recycled content, innovative design, and sourcing regional materials for manufacture. Green building is already important in the commercial space where Trex is frequently used for enclosures, screens, and perimeters, but it also is increasingly a consideration for the residential buyer as well. Sustainability and resilience matter, and Trex is proud to provide solutions for clients that are looking for eco-friendly solutions.  One of the most important elements that sets Trex fencing apart from other manufactured fences is its strength. The material in Trex is 2x to 4x as thick as vinyl and other composites. Combined with its density, the thickness of the material is what gives Trex an incredible wind load rating of 130+ mph on 8′ centers. It also weathers well. 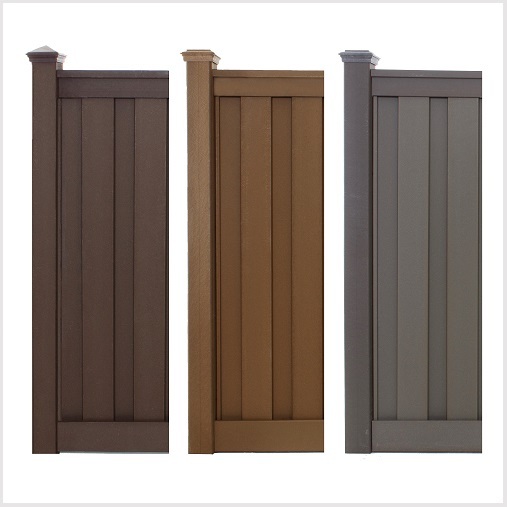 Even if a wood fence is stained or painted frequently, pickets, rails, and posts will eventually warp, twist, and rot. Wood simply won’t last as long as Trex, and across the life of a Trex fence you can probably expect the wood fence to be replaced at least once and go through significant repairs, let along require frequent re-staining or painting. Trex’s interlocking pickets completely obscure visibility through the fence. Wood pickets will gap over time as they shrink, creating privacy problems. Even board-on-board wood fences tend to warp, creating gaps as well. In terms of visibility above a fence, vinyl and other composites are typically limited to 6 ft. tall, but that isn’t the case with Trex. 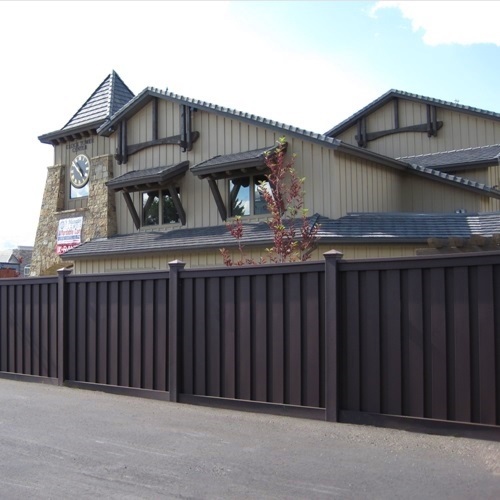 Trex fence systems can be configured for heights up to 12 ft. tall. Nationally, Trex fencing averages in the $70’s per foot installed including the materials. A comparable pre-stained cap-and-trim/board-on-board design in wood usually runs in the $40’s. 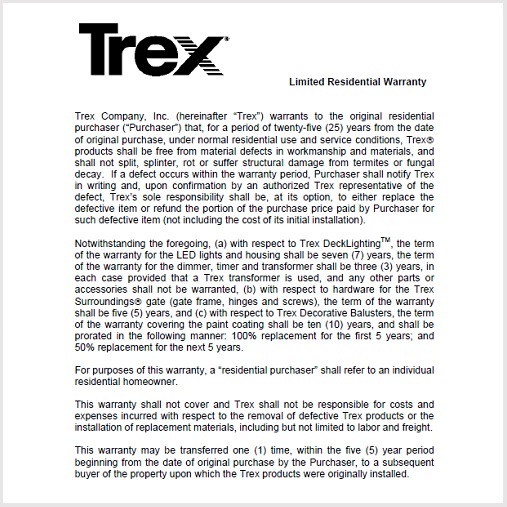 Factoring maintenance and replacements, Trex becomes the better bargain over time and an owner doesn’t have to worry about scheduling maintenance or dealing with the nuisance of replacing a rotting post here or a few cracked pickets there every few years. 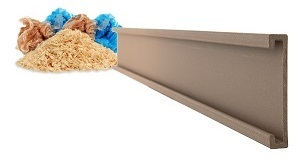 Given its durability, it is also the greater value compared to vinyl or other composites which may be cheaper. 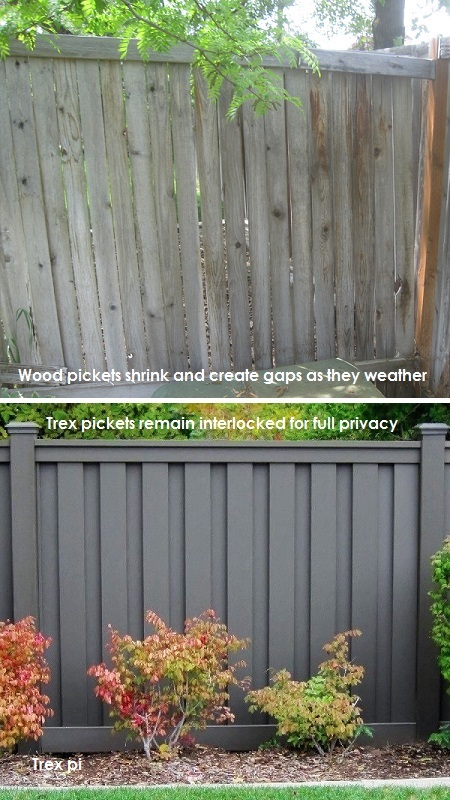 A Trex fence is less likely to sustain incidental damage from small rocks kicked up by a lawnmower, kids throwing balls against the fence, or a bicycle bumping into a post. Trex Wins Green Building Award … Again! Trex Company, the leader in outdoor living materials, has won a coveted award for the fifth year in a row. Eco-friendly architects, builders, and contractors are surveyed annually to designate the top brand for the Green Builder Media’s 2016 Reader’s Choice Awards. The company’s products and manufacturing techniques set the high-water mark for green building and being recognized for those achievements resonates with buyers looking for leadership in sustainable products. 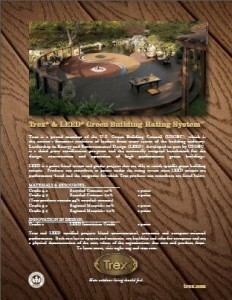 The Trex formula for decking and fencing contains over 95% recycled materials. Additionally, other principles of materials management and production contribute to the environmentally responsible aspects of the Trex manufacturing philosophy. Materials are sourced regionally where possible and virtually all waste materials are recaptured during manufacturing. If you are a landscape architect that is attending the annual meeting and expo in Denver this month, you should have received a mailer. 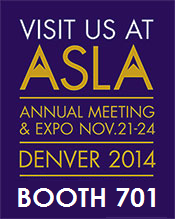 We will be exhibiting with product samples and representatives that can answer your questions. Many of you may also be using architectural resources such as CADDetails. Stop by and we can discuss how Trex fits into your design plans. Outdoor living has extended to the perimeter. Enhance your customers’ landscaping with natural appeal and low maintenance. 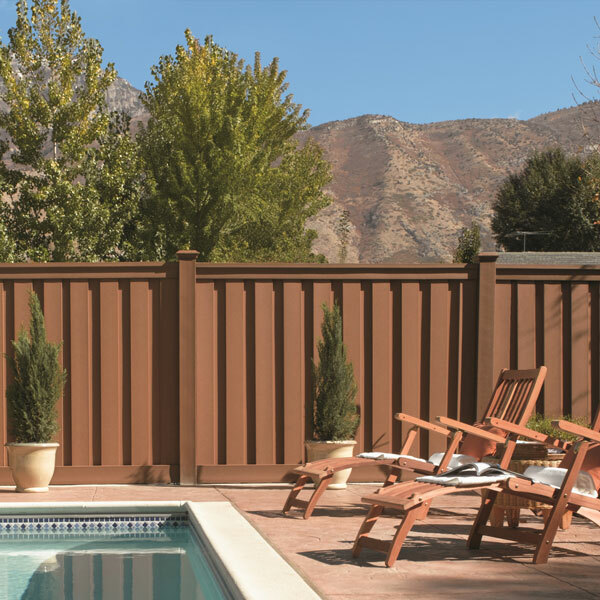 Coupled with a trusted name brand and a 25-year warranty, Trex® fencing is the property improvement solution for residential, commercial, development, government, and specialty projects. Of course, many projects, especially residential, don’t require green building methods or products. However, sustainable and accountable usage of resources matters to us all. Trex is committed to providing materials and manufacturing techniques to meet the needs of a growing economy while doing so responsibly.